Yes, you read the name right. 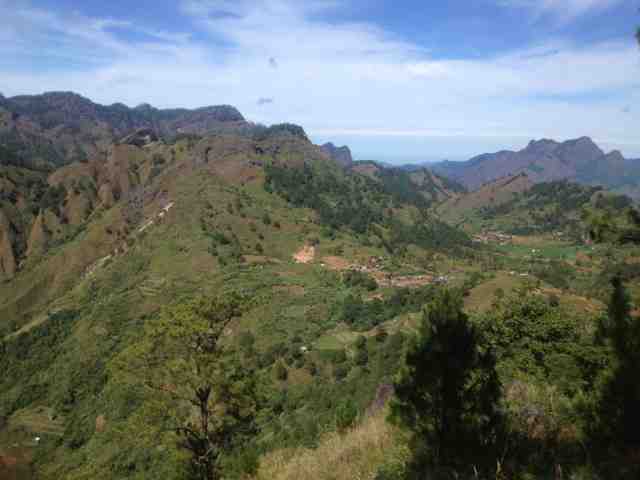 Mt Kilkili is one of Kibungan, Benguet’s well-known peaks. It is a cone-shaped mountain, which some believe to be an extinct volcano. During the 5th Anniversary celebration of our group Trails to Empower Kids or TREK, we conducted an outreach in 12 schools in Kibungan, Benguet and we had the chance to squeeze in a climb at this mountain. We were already on our 9th day in Kibungan, Benguet and we only had one more school to go, so we decided to reward ourselves a bit by the ascent on Mt. Kilkili. 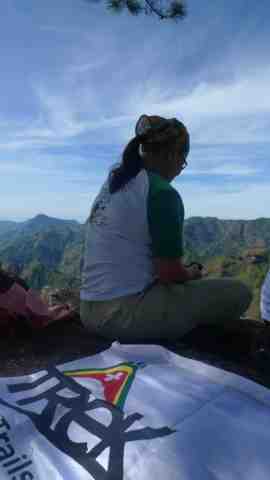 I was with fellow volunteers Ponga, Joseph, Third, Noel and Dennis, plus our friends from Kibungan, Benguet. From our jump off point, which already has a high-elevation, the climb was short, which was about an hour to two. We passed by vegetable farms before we negotiated the narrow and steep moss-filled stairs leading to the summit. The vegetation was lush and tall so we could not see much, making this part almost tiresome until the view opened up to a tableau of amazing outcrops soaring in a plateau of greens. These rock formations or ledges serve as magnificent view decks to marvel at the mountains of Kibungan and its neighboring town of Bacun. We could also see portions of another popular site at Barangay Palina, which are the rice terraces and the scenic trails we took a day earlier, which led us to one our beneficiary schools, Legleg Elementary School. Years ago, the province marketed itself as the Switzerland of the Philippines because of its majestic mountains, deep ravines and cliffs. However, it was vetoed simply because despite the cold temperature, there is no snow in Kibungan. 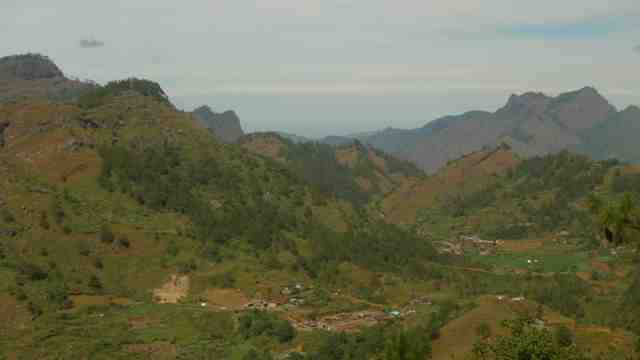 Nevertheless, the mountains of Kibungan are as grand and impressive as its European counterparts. It now takes the tag “rocky mountain beauties,” which is actually more befitting. 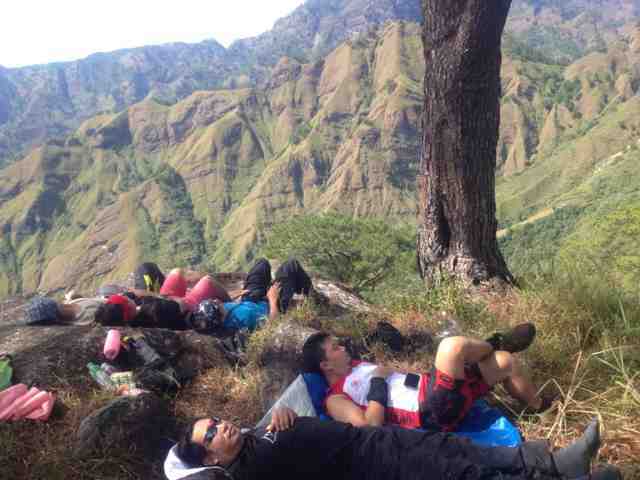 Kibungan is actually one of the country’s best-kept trekking destinations. Because of its inaccessibility, the sights remain pristine and stunning. Most locals, including the students, still trek to get to their destinations. At any point, all that can be seen are mountains, rice paddies, vegetable farms and small villages, as far as the eyes can see. It was my third time to visit this dominantly mountainous municipality located at the heart of the Cordilleras, about four hours away from Baguio City. All of these trips were to conduct outreach programs for TREK. It was also the longest I have stayed in Kibungan, which was good as I was able to explore, learn and mingle a lot. I wrote about the outreach on my blog site (www.kellyaustria.com) so if you want to read more about this and past TREK activities, visit the site.